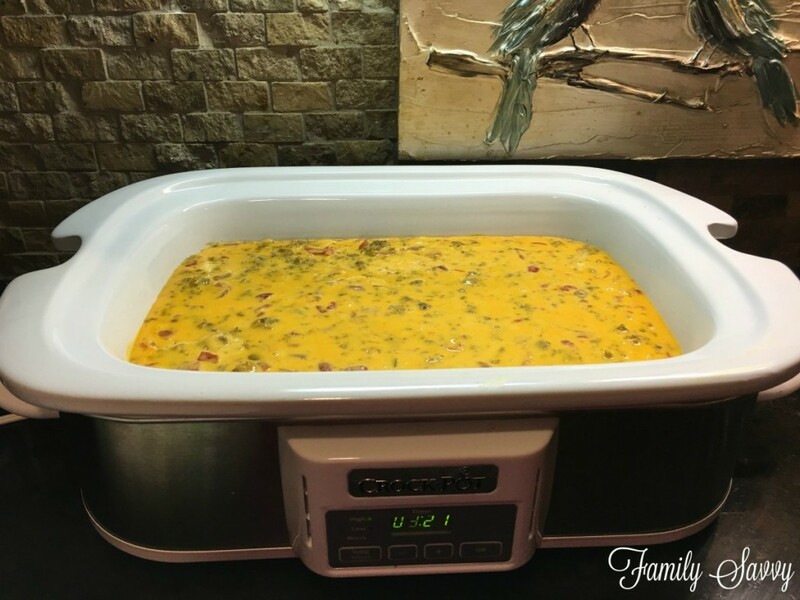 This sausage cheese dip is SO much better than traditional Rotel dip that folks will literally scrape the bowl! Cheese dip made with Velveeta and Rotel has been around forEVER and makes an appearance at many a party. Personally, I am not a fan of the traditional version, but this spicy, savory meaty version is one of my favorites. I make this dip with sharp Velveeta, hot breakfast sausage, and hot Rotel tomatoes. The end result is a savory, spicy, anything-but-boring cheese dip. I sent it to a girls’ sleepover recently and got this late night text from my daughter: Your cheese dip was a HIT; every bit of it was scraped up! Seriously, everyone loves this! A note on serving size: This recipe uses the 2 pound block of Velveeta and 1 pound of breakfast sausage. If serving this at a large party, I would double this, as this dip goes quickly. Any leftovers keep well for a day or two in the fridge. Simply reheat before serving. Melting the cheese: You can melt the Velveeta in the same skillet used to brown the sausage, or you can microwave the cheese while the sausage cooks. To keep the dip hot during a party, use a slow cooker. I am obsessed with my new casserole crock pot and have used it almost every day since buying it. The shape is SO much more efficient for cooking and keeping foods warm. If you try this, I’d love to hear your thoughts. Do you think it is better than the original version? Leave comments so that we can all chat:-) As always, thanks so much for stopping by. Be blessed, and stay savvy!!! This savory sausage cheese dip will be the hit of any party. In skillet over medium heat, begin cooking sausage. Stir sausage often, breaking up into small pieces so there are no large chunks. Cook until sausage begins to brown and some of the pieces get slightly crisp. While cooking sausage, melt Velveeta in microwave (per package instructions). Stir Velveeta until smooth and completely melted. Add both cans Rotel (undrained) to cheese; stir until smooth. Scrape sausage from skillet into cheese, making sure to get all the yummy brown bits. Place cheese dip into slow cooker and keep on low or warm. Hi Jeanette!That is so funny that this is your go-to dip! Isn’t it wonderful!!! Glad to know that Picante can be used in place of Rotel if needed. Thanks for commenting. Blessings to you and yours!! I looked at your blog today and had to laugh. This is almost the same recipe that I took to our family Christmas finger food night. The only difference is that I use a large jar of Pace Picante Sauce instead of Rotel. (My kids don’t like the tomato chunks in the Rotel) This has been my go-to cheese dip since 1980 and I still love it.